With just eight games remaining in the 2018/19 Premier League season, the race to beat the drop is beginning to hot up. Whilst Huddersfield and Fulham aren't mathematically out of the running, it looks as if they will be joined by one other side from a rather substantial list. With that in mind, here's a look at which relegation threatened teams have the toughest remaining fixtures. Watford (A), Brighton (A), Liverpool (H), Wolves (H), Newcastle (A), Bournemouth (H), West Ham (A), Huddersfield (H)​. 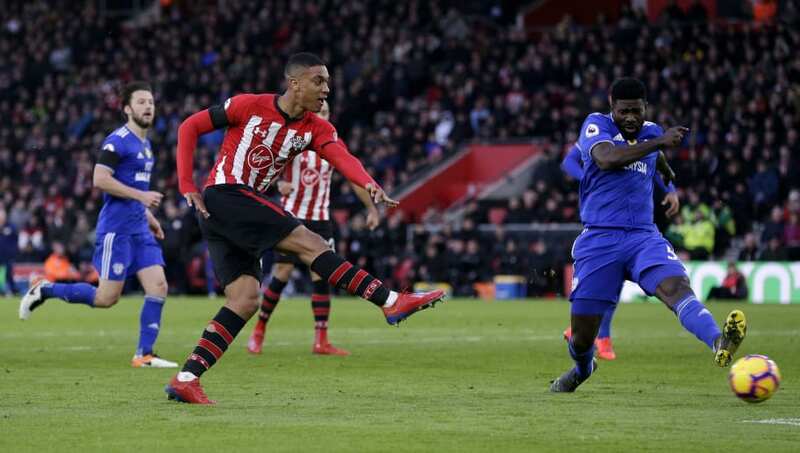 The Ralph Hasenhuettl era at ​Southampton has started to generate some momentum in recent weeks and the Saints' win over Tottenham exemplified just how much they have improved since the German replaced Mark Hughes. They'll be buoyed by the fact that they have just one more fixture against a top six side and four fixtures against relegation rivals still on the horizon. ​Bournemouth (A), Arsenal (A), Crystal Palace (H), Leicester (A), Southampton (H), Brighton (A), Liverpool (H), Fulham (A). ​​Newcastle are now six points clear of the drop zone and are tantalisingly close to securing their safety, but even the most optimistic of supporters will admit that the job isn't done just yet. Their remaining fixture list offers up plenty of positives, including the fact that they only have to play two of the top six and still have five more games against bottom half teams yet to come. Spurs (A), Huddersfield (H), Newcastle (A), Man City (H), Arsenal (A), Everton (H), Cardiff (A), Bournemouth (H). ​Crystal Palace have never really looked like dropping into the relegation zone, but they've simultaneously struggled to put any substantial space between themselves and 18th spot. Their run isn't straightforward by any means, but ties against Huddersfield, Newcastle, Cardiff and Bournemouth should provide them with enough points to confirm their Premier League status with room to spare. Liverpool (H), Man City (H), Watford (A), Everton (H), Bournemouth (A), CardIff (H), Wolves (A), Newcastle (H). Realistically speaking, ​Fulham are already as good as relegated, but Scott Parker has a chance to finish the season strongly and stake a claim to take on the managerial role at Craven Cottage on a permanent basis. However, they have to play both Manchester City and Liverpool and face daunting away trips to high-flying Watford and Wolves. It'll be far from easy. Cardiff (A), Southampton (H), Spurs (A), Bournemouth (H), Wolves (A), Newcastle (H), Arsenal (A), Man City (H). ​​Brighton may have won their previous two games, but they aren't safe just yet. A dreadful run of form at the start of 2019 has left them in a precarious position and they have a mixed bag when it comes to their remaining fixtures. Chris Houghton's side will be viewing their next two games against Cardiff and Southampton as absolutely crucial. Win those two and they should book their spot in the Premier League for a third consecutive season. West Ham (A), Palace (A), Leicester (H), Spurs (A), Watford (H), Liverpool (A), Man Utd (H), Southampton (A). If ​Huddersfield are able to beat the drop then it would be the most miraculous recovery in Premier League history. However, the likelihood of that happening ​is incredibly low, so Jan Siewert will be using the rest of the season to figure out what direction he wants to take the club in this summer. If they can pick up any points from their five game streak which begins with a trip to Leicester and finishes with the visit of Manchester United, then they will be incredibly fortunate. ​Leicester (H), Wolves (H), Bournemouth (A), Cardiff (H), Chelsea (A), Man City (H), Everton (A), Arsenal (H). ​Burnley were on a serious role at the start of 2019, but the points have dried up recently and they now find themselves just two points above the drop zone - something no one predicted would be the case at the start of the season. Difficult fixtures against Leicester, Wolves, Chelsea, Manchester City and Arsenal are all on the horizon and they only have one fixture against a fellow relegation candidate - Cardiff. ​Brighton (A), Chelsea (H), Man City (A), Burnley (A), Liverpool (H), Fulham (A), Crystal Palace (H), Manchester United (A). ​Cardiff weren't given a hope at the start of the season, but with eight games left they still have a fighting chance at staying up. The odds are certainly stacked against them - as they have been all season - and they have a nasty set of fixtures to look forward to. The Bluebirds have to play against four of the top six, including both Manchester City and Liverpool, with their remaining fixtures all being against relegation rivals. Dropping points in those matches could prove to be fatal.